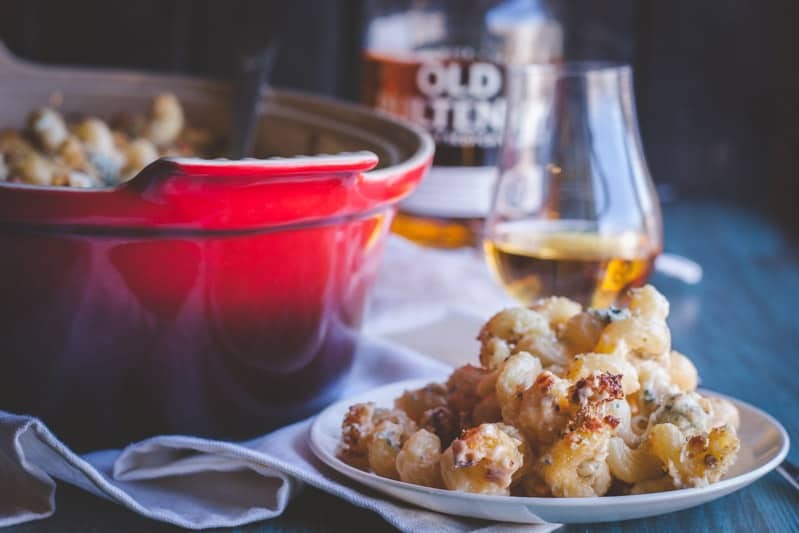 This isn’t your typical mac ‘n cheese recipe, no, this recipe is about 100 times better and is an adult macaroni and cheese recipe for a blue cheese mac ‘n cheese with bold flavors! 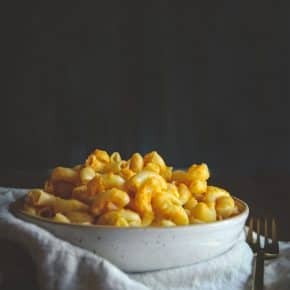 This recipe is my FAVORITE mac and cheese. It’s SO GOOD! It has a creamy sauce which is complimented perfectly by the crunch from the baked bread crumb topping and blue cheese crumbles ribboned throughout, making it delicious through and through. The best noodles to use are cavatapi, because the sauce really coats all the spirally noodles and even gets inside the noodles – I cannot stress enough how good this recipe is, I’ve been making it for years! I know not everyone is a blue cheese lover (I personally don’t love blue cheese by itself usually), but in this mac ‘n cheese recipe, even those most leery of blue cheese will find themselves loving this dish. 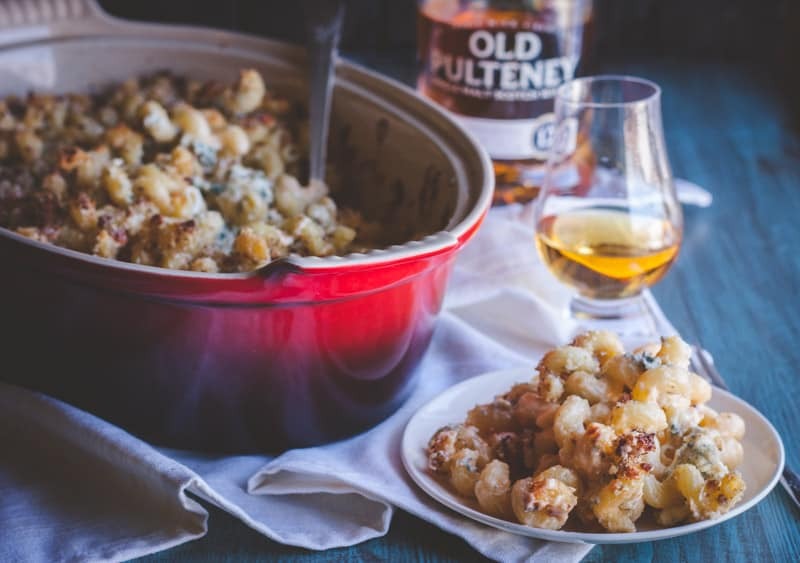 I like to think of this as an adult macaroni and cheese dish, and so it deserves a bold spirit pairing: my husband recommends scotch because of its smoky notes! 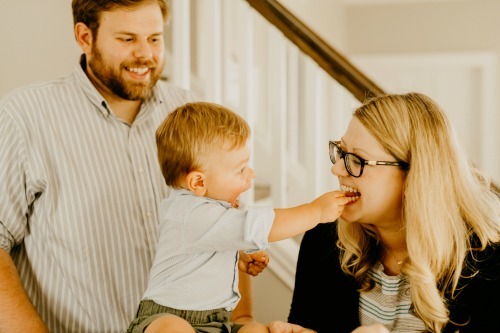 I’d love to know – what are your plans for Labor Day, and what will you be cooking?! 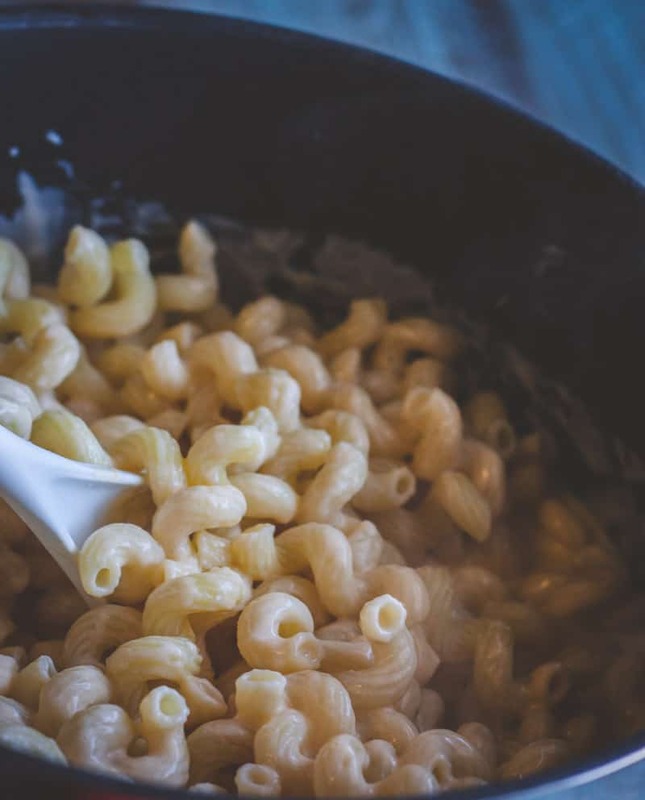 Cook cavatappi pasta (I like to use these spirally noodles because they sop up the cheese) according to package instructions and strain and leave the pasta in a colander while you make the sauce. In the same pot used to cook the pasta that is now empty, melt the butter and as soon as it is almost melted add in ½ pint of heavy whipping cream. Whisking occasionally and let the butter and cream come to a slow boil, add the flour and garlic salt in and whisk until combined. Next add the milk, and whisking occasionally let the milk come to a boil (about 3-5 minutes). As soon as you start seeing bubbles (the mixture will rise in the pot a little) add the shredded cheddar and while whisking occasionally the cheddar will melt and then you’ll add 5 oz of the blue cheese crumbles (1/2 of the blue cheese) and let it melt. Turn the heat off. Add the cooked pasta back into the sauce pot and stir the pasta to coat it with sauce. 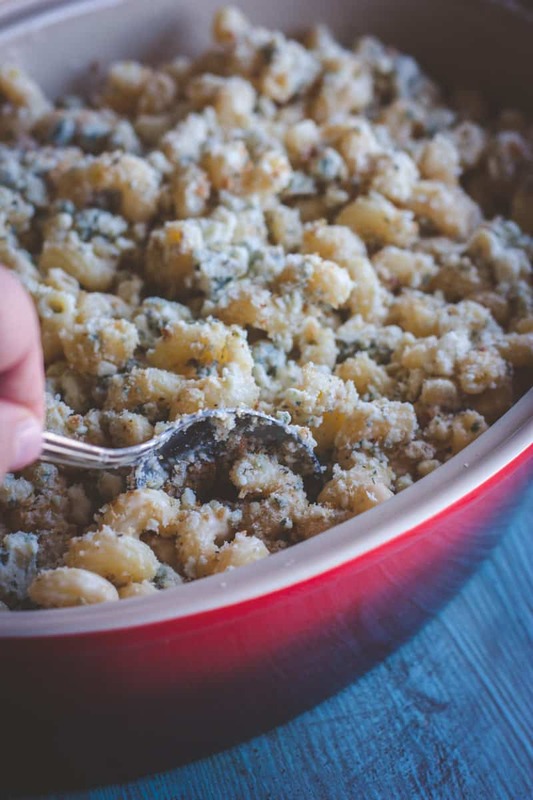 Spray a baking dish with cooking spray and spoon sauced pasta into it, sprinkle remaining blue cheese on top of the pasta and sprinkle Italian bread crumbs on top. Lightly run a spoon through the topping to push some of the cheese and bread crumbs down. Bake for 30 minutes. Remove from oven and allow to cool for 5 minutes before serving. This is definitely suuuuper decadent and delicious, now I’m craving it again lol, I think you’ll love it! This looks SO good! We love blue cheese! 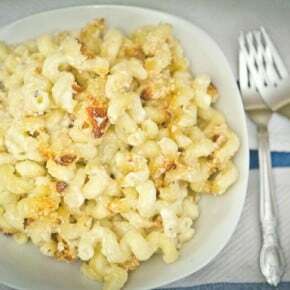 Blue cheese is so yummy in this mac n cheese, I think you’ll love it!